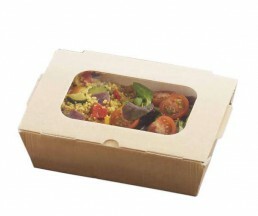 A new range of innovative takeaway packaging suitable for hot and chilled foods. 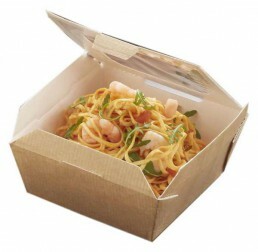 Food to go boxes are PET lined, ideal for a wide range of hot and chilled foods pasta, noodles, jacket potatoes, ready meals, salads and sushi. Rigidity allows ease of eating straight from the pack. Completely leak proof and allows food to stay hotter for longer. 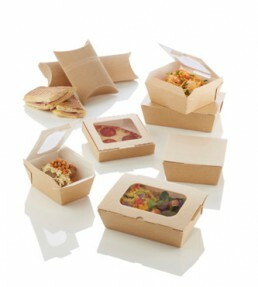 These are biodegradable & recyclable.